The Next Fundamentals Program Begins On May 6th. Our next 2-month Fundamentals Program starts on May 6th. In this class, you'll learn everything you need to be successful in all our classes while kick-starting your body and mind on the path to better fitness. Get a few sponsors (or just sponsor yourself!) and come test your mettle in an old-fashioned CrossFit style movement competition: 360lb tire flips! How many can you do in 5 minutes?!! Download your sponsor sheet and get ready! 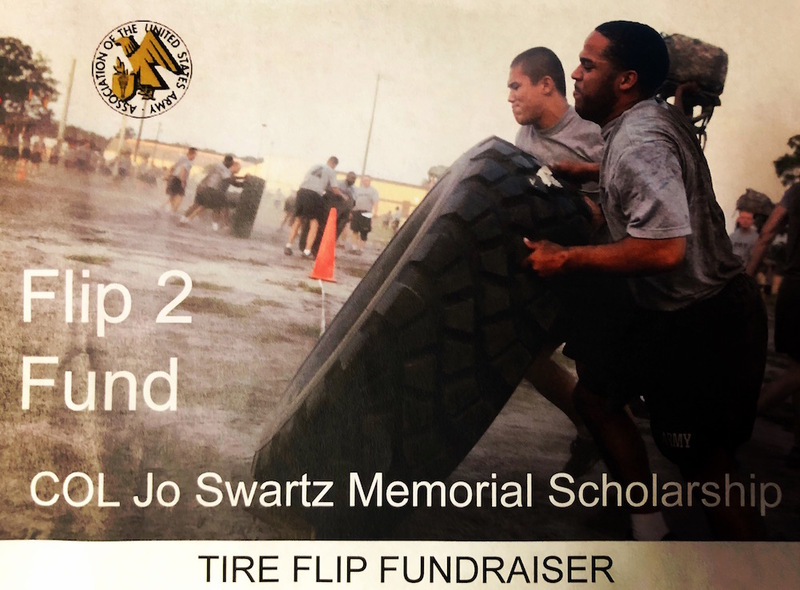 This First Annual Flip to Fund event supports the Colonel Jo Swartz Memorial Scholarship through the Association of the US Army - AUSA Captain Meriwether Lewis Chapter.